By contemporary Hollywood metrics, Warner Bros. has had a disappointing year. Of course, by contemporary Hollywood metrics, Avengers: Age Of Ultron was a disappointment because it “only” made half a billion dollars domestically, but still. The studio put out both Pan and Jupiter Ascending this year, and not even the minor commercial and major critical success of Mad Max: Fury Road can compensate for that. And as a punishment for not supporting these flawed-but-original films, next year moviegoers are only going to see the work of one visionary filmmaker at their local multiplex, and that’s Zach Snyder. Time Warner chairman and CEO Jeff Bewkes said as much during a media conference earlier today, where he said that next year, “we’re going to be shifting more to the very numerous number of big franchise film releases.” (As opposed to all those Batman, Harry Potter, and The Hobbit movies it put out in the past.) 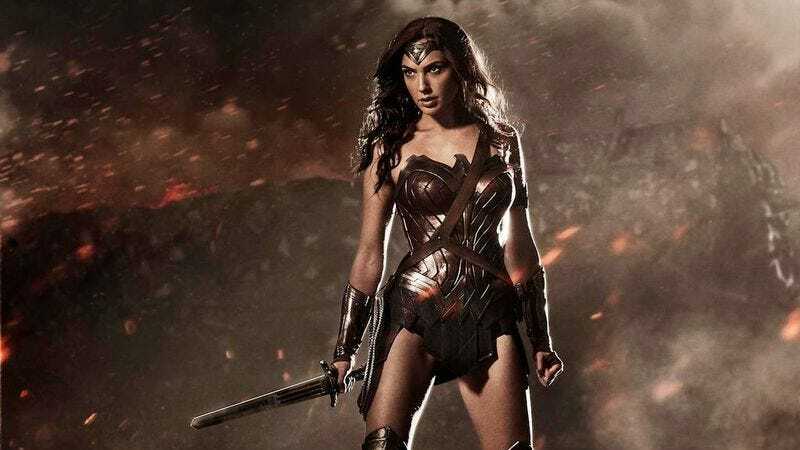 Variety reports that Bewkes is “particularly bullish” about Wonder Woman, which is due out in 2017 and, according to Bewkes, promises to bring a new audience of women who previously wouldn’t be caught dead watching chiseled Adonises in tight costumes punch each other out to the multiplex. “We think this could bring an under-represented female audience to this genre that frankly has not been served well in the past and that could be exciting,” he says. Better yet, if Wonder Woman is the title character, maybe the studio will actually remember to make toys with her face on them.